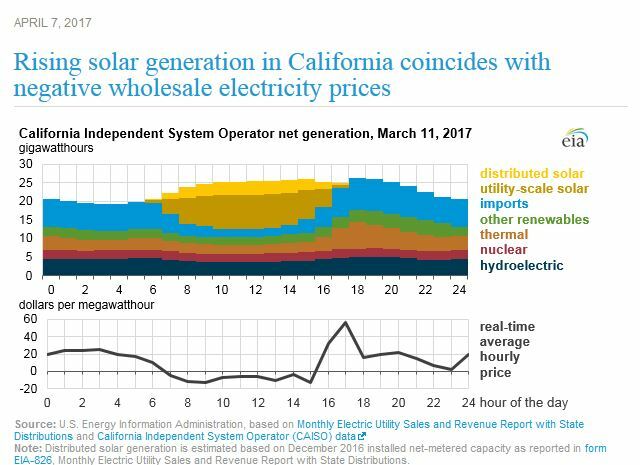 For a few hours on March 11, for the first time, more than half the electric power used in California came from solar power, according to the US Energy Information Administration. The wholesale price for electricity went negative. In other words, power generators had to pay wholesalers to take their electricity. Conventional power generators would prefer to pay customers to take their power rather than shut down their plants. Germany, with lots of solar and wind generation, sometimes has to pay neighboring countries to take its electricity. 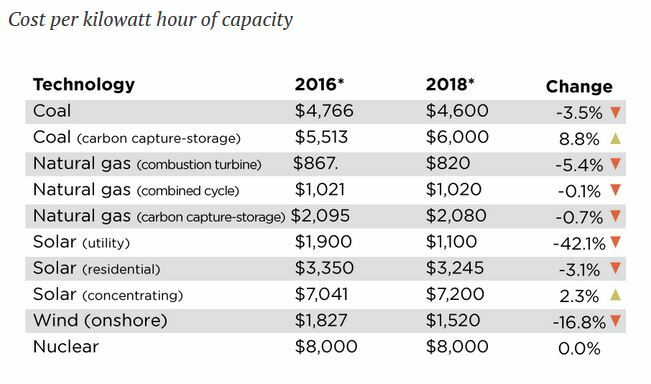 Lack of a viable way to store electricity still presents an obstacle for transition to renewable power sources, but clearly wind and solar have come to stay. Solar farms are under development or in various stages of construction in West Texas, able to hook into the new transmission lines constructed originally to bring wind power from North and West Texas. A facility in Pecos County that went on line April 5 covers about 1,000 acres with 1.2 million solar panels, and took about a year to construct. Austin’s municipally owned utility Austin Energy has contracted to buy all of its output, which is capable of supplying enough electricity to serve the equivalent of 24,000 homes in the summer and 40,000 to 50,000 homes in the winter. Austin Energy aims to obtain 55 percent of its electricity from renewable energy sources and now is at 30 percent. In Plano, Texas, a solar system is being installed at Toyoto’s new headquarters, atop four parking garages. It will consist of 20,000 solar panels covering the equivalent of ten football fields and shading the cars beneath.